All of the material in this book has come from church minutes, newspaper articles, friends and former pastors of the church and it has been put into this book in good faith. Every effort has been made to try and ensure the accuracy of all the facts presented, however if any mistakes have been made or any offence has been caused, I offer my sincere apologies. This book is by no means an exhaustive history but merely an overview of the last 50 years. This book would not have been possible without the help and assistance of the following people: Rev John Paton, Rev Eric Lewis, Rev Robert McMurdock, Rev David Thirkell, Rev Albert Griffith, Edward Crothers, Mrs Lown, Tom Cook, Mr& Mrs T Smyth, Mrs Purdy, Robert Collins, Joe Redmond, Sam Perkins and Peter Gentry (The Flame Magazine). Thank you Jessica O'Brien for your excellent sketch of the church on the front cover. Thanks also go to the staff of Lisburn Library for being so helpful in providing the necessary microfilms for the newspaper articles, Morton Newspapers for their permission to reproduce some of the articles. The following are to be thanked for providing photographs- Mrs Crothers snr, Mrs Purdy, Mr Cook, Mr Smyth, Mrs Massey, Mrs Y. Collins, Mrs C. Collins and Mr&Mrs Hunter. Thanks to Jim McAlister for taking the church board photo and making prints from newspaper photo's. A BIG thank you to my wife Carroll and children, Matthew and Rebekah, for their patience during many months between the library and the computer. 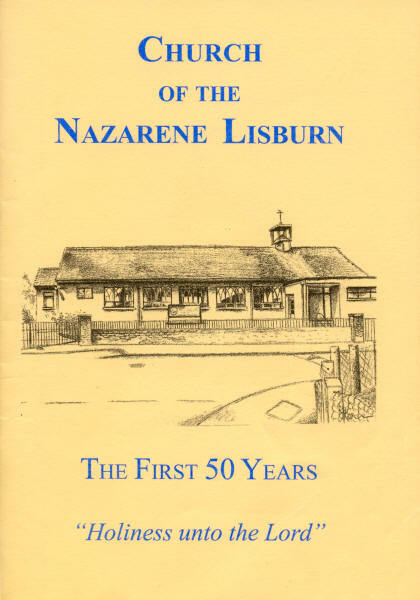 All Glory, Honour and Praise to God for the help He has given me during this project and for giving the vision to start a Nazarene work in Lisburn. This book was compiled by Stephen Collins. The late 1940's saw a mission in the C.W.U hall conducted by two ministers from the mainland, Rev James McClagan and Rev Randolph Murray. Holiness meetings were commenced. These were held on a monthly basis in the Friends meeting house in Railway Street. The meeting house is still used today for gospel meetings under the name of "The Lifeboat" run by Mr Alan Bartley and friends. In August 1954 a large tent was erected on ground opposite to where the church stands today. The Rev Albert J. Lown supported by Rev Crouch, Rev Green and others conducted a mission. Advert Which Appeared In The "Lisburn Standard"
The following is a transcript of a report that appeared in the Lisburn Standard on 20th August 1954. "Despite the unusual and severe weather of the first weeks of August a Church of the Nazarene team of ministers have commenced and continued special services in the gospel tent at Warren Park each evening except Saturday. Congregations have increased steadily in numbers from the opening service on Sunday 8th August and much appreciation has been expressed of the sound evangelistic and expository preaching of the team and of the special evenings conducted by visiting Nazarene Churches from the Irish district. The members of the team led by Rev A. J. Lown of Bolton are becoming well known in the Warren Park district by their practical work in and around the tent and the holding of special young peoples meetings. In the town also the large Church of the Nazarene Mobile Evangelistic Unit comprising a gospel cinema and special broadcasting equipment, has aroused much interest. The preaching platform containing piano and microphone are mechanically raised above the van together with the screen. On Saturday last the film "Barabbas" was shown in the Market Square and on Sunday evening an hour's musical service was relayed on the Square with fitting gospel commentary and quotation. The prolonged heavy rain and high winds which attended the Queens visit to Ulster also played havoc with the gospel tent, breaking guy ropes and leaving the canvas church a soggy sorry looking pancake on the ground, causing much damage to the main sections. By the kindness of Mr John McClean an emergency meeting was held in his garage in Longstone Street and with the help of local friends a smaller tent was erected in time for the Wednesday evening service. It is hoped to erect the large tent again for the weekend". At the end of the tent mission over thirty people requested to have a Church of the Nazarene in Lisburn. Permission was sought and granted by the owner of the ground and Lisburn town council to erect a temporary wooden building. Meanwhile the newly formed congregation were meeting regularly under the auspices of the Home Missions Department of the Church of the Nazarene. The Rev Lown preached three times on a Sunday, 11.00 am, 3.00pm and 6.30pm. There was also a midweek meeting for the deepening of spiritual life by the teaching of the Wesleyan doctrine of Christian Holiness. During this time work proceeded with the new temporary building non-stop with the Rev Lown being assisted during the day by Rev J.McCleod and by a fine team of voluntary workers at night. The actual foundations and floor were laid in the large tent and the building was erected under cover of the tent roof in just under four weeks. God's hand of protection was upon these men during this time. One of the stories told by Mr Cook is of two of the walls and part of the roof caving in on two of the men. Thankfully neither were seriously hurt. The wooden church was officially opened on Saturday 11th December 1954 at 3.00 pm with the Rev. George Frame taking the service. This also opened the Convention , which ran to December 20th with various speakers. The Rev Albert Lown was called as the first minister of the Lisburn Church of the Nazarene. Number 5 Jubilee Avenue was obtained for the church manse in late 1954 with a mortgage for � 1,500 with a monthly repayment of �8.0.2 . The minute books record the first Board meeting as May 1 1th 1955. It proposed Mr Carberry as secretary and Mr Purdy as treasurer. The minute books also record the first members meeting as May 21st 1955. Rev Lown was the chairman. Those present included- Mr Carberry, Mr Purdy, Mr Smyth, Mr Knox, Mr Tolerton, Mr Campbell, Mr Kerr, Mr Smart. Mr Galbraith, Mrs Ferguson, Miss Crangle, Miss Garrett, Mrs Campbell, Mrs Lown, Mrs Purdy, Mrs Galbraith, Mrs Tolerton and Mrs Carberry. Very Early Photograph Of The Sunday School Anniversary With The Wooden Church On The Left. A special business meeting was called for on September 28th 1955 by the District Superintendent Dr George Frame to dicuss securing a site for a new permanent church building. The ground rent per year was �42. A vote was taken and it was passed for the trustees to sign the paperwork. The ground is the site we now occupy. At the same meeting a committee was formed for the Nazarene Foreign Missionary Society. They were sisters Lown, Ferguson and Best and brothers Smart, Knox and Bittle. A committee was also formed for the Nazarene Young Peoples Society. They were sisters McCleary, Garrett and Wilcox and brothers Smyth, McClarnon and Carberry. As the church was nearing the first anniversary the young peoples aspect of the work was continuing to develop with increasing attendance at the Sunday school sessions and mid-week activities. The Church of the Nazarene Caravan movement provided for the various age groups with a fourfold emphasis upon the physical, mental, social and spiritual training of young people for Christ and the church. Mr McClarnon borrowed Mr Chittick's tractor and ploughed up the ground. Soon after he was fatally injured in an accident involving a train. The first church holiday took place in July 1956 when a party of forty stayed in Ramsey, Isle of Man under the leadership of Rev and Mrs Lown. Holiday activities were many and varied and it was reported to be a very happy and encouraging venture. By the beginning of August the foundations had been laid. On 6th August 1956 the first block was laid by Ernie Part, prior to the prayer meeting, in the presence of prayer meeting members and young people of the district. God continued to bless the work and provide the necessary finances with more people showing an interest in the work. The first anniversary and convention services were held from December 10th to 19th 1955 and were conducted by Rev Lown, Rev Tarrant and Rev Crouch. Representatives were present from Ballymacarrett and Dromore churches. On June 14th 1956 the church was registered at the local registrar for marriages. The plans for the new church building were presented. At the June Board meeting, after a number of tradesmen connected with the church offered their services, it was decided to form a "Nehemiah squad" headed up by the Rev Lown who would be at hand to help in any way. 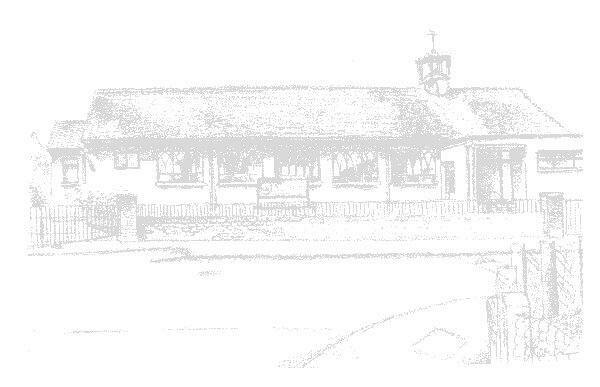 On Monday 18th June 1956 preliminary work began on the new site with a team of voluntary workers creating an entrance from the roadway and beginning the removal of topsoil prior to digging the foundations for the Sunday school block of the new building. As the building work continued the burden of finances began to grow heavier upon the minister and church board members. Now that the Sunday school block had reached roof height there was need for more timber, tiles, plaster and flooring. As these needs were brought before the Throne of Grace at the regular prayer meetings the constant and sacrificial giving of interested friends and the Sunday school pupils parents was a cause for thanksgiving and encouragement. A letter that was sent into the Lisburn Herald in March 1957 reads as follows: BUILDING CHURCH HALL-Voluntary workers commended. Sir-I would like through the medium of your widely read paper to commend those voluntary workers who have been helping the Rev A. J. Lown of the Church of the Nazarene in Warren Gardens, to build a church hall for his very large Sunday school. This hall will also, I understand, serve for a place till such is built, and is much needed in that district. Mr Lown has toiled day after day, often alone, on this site and also carried out most faithfully his pastoral work and in my opinion deserves much greater support than he has been given so far. The workers are few and many more are needed, especially bricklayers and joiners and those willing to wield a shovel, while I am sure financial help will be much appreciated. I am not a member of this church nor were the members aware of my intention to publicise their efforts, but in these days when many want something for nothing, it is most refreshing to see these helpers toiling each Saturday and often at night without any financial gain, to build a hall in which children may be taught how to live right. I hope many more will join their ranks and help finish the job quickly. Yours, etc, "Interested". On Thursday 6th June 1957 Dr Hardy Powers, of Texas, USA, one of the five General Superintendents of the Worldwide Church of the Nazarene, visited the site of the new Sunday school block during the day. While on Saturday 8th June 1957 the annual Sunday school outing took place with a party of 130 making the trip to Portrush by special train. On Sunday, the Sunday school anniversary services were taken by the Rev David Tarrant from Glasgow. The services were held in the new, and as yet, unopened schoolroom. The large schoolroom was still unfloored, unplastered and had no ceiling as yet, but in spite of this it was made ready for the children's day by the sacrificial efforts of members and friends. A lot of the electrical work on the Sunday school block was done by Samuel Redmond and his Welsh friend John Jones. One thousand leaflets were printed and distributed for the opening of the first phase of the new church. On the 3rd and 4th of August 1957 the closing services were conducted in the wooden church by the Rev Lown. On Saturday 10th August 1957 at 4.00pm Dr George Frame, District Superintendent, British Isles North District, conducted the official opening service. Visitors included Dr H. E .Jessop, lecturer at Eastern Nazarene College and Olivet Nazarene College USA and Mr A. Stevenson, OBE, JP and chairman of Lisburn Council. After tea had been served, in the former church, to almost 200 friends, by the Ladies of the church, the first of a series of evangelistic services was conducted by Rev and Mrs Carlsen, from Pittsburgh Nazarene church, whose range of 20 musical instruments included an electric organ, xylophone, cowbells, sleigh bells, accordion and electric guitar. The sum of �152 was lifted at the Saturday services for the building fund. Voluntary workers had worked through Friday night to make the opening possible, and during the last fortnight between 20 and 30 workers had been present each evening-some working through the night in addition to their daily employment. This final effort by members and interested friends was the climax to a full year of hard work by a faithful band. The first phase of the building comprised a main hall, primary room, soundproof room, prayer room. cloakrooms, kitchen, vestry and tower. With the Sunday school hall now complete a campaign was organised. On Sunday October 6th 1957 the "Great Revival and Bible Prophecy" campaign commenced and was conducted by Rev Maynard James, International Evangelist and editor of the Flame magazine. Some of the subjects dealt with included- The Middle East in the Light of Prophecy, Is Christ about to return? The man who cheated the Undertaker and The biggest Liar in Lisburn. The meetings finished on 31st October 1957. At the beginning of the new year, 1958, the members and friends of the church set about repaying loans toward the cost of the first phase of the building project amounting to approximately �2,500 to make possible the erection of the second phase of the new church building which was urgently needed. On Sunday 19th January 1958 there was a special visit from Rev W.Esseltyn, District Superintendent of the South African Native Church and also a pioneer missionary, evangelist and conference speaker. At a members meeting Mr and Mrs Cook were the first delegates elected from the church to go to the District Assembly. By June 1958 work had started on the main sanctuary. In an effort toward removing of the debt upon the church, a gift day was held on Saturday 7th June. The Rev Lown was at the church from 8.00am to receive gifts and promises of help for the church building fund. The amount of money lifted that day was � 124.2.9. Also that weekend a conference was held with Rev Jack Ford. BD, from Manchester, as the speaker. "Fifty Golden Years" was the title of a coloured film strip, with recorded narration and background music, illustrating the origin, growth and worldwide activity of the Church of the Nazarene. The NYP Fellowship showed it on Saturday 6th September 1958. A special meeting will be held on Saturday next, 28th February at 7.30pm to consider the completing of the church premises by the building of the main sanctuary. 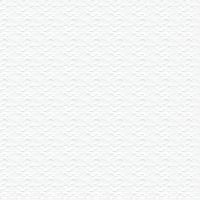 It is anticipated that the first cost of erecting the church, that is, to complete the walls, windows, roof spouting, drains etc (without inside work) will be about �I,000. Apart from the church building there is a mortgage on the manse, taken out in October 1954, for �1,500; repayments are �8.0.2 a month. This mortgage, of course, is more than covered by the value of the manse. 1. That the membership will pledge itself to raise a substantial part of the �1,000 within a given period of time. (One year was suggested). 2.That a sufficient number of brethren will covenant to bear the main burden of voluntary work, faithfully, according to ability and with endurance. With prayerful good wishes for your spiritual encouragement and physical health. May He be with us as we meet to do business for His glory. At the meeting a decision was taken to resume work upon the structures of the main church sanctuary in the near future. The members accepted the contents of the above letter. The building fund treasurer; Mr T. Cook, informed the meeting that in the period January 1956 to date the sum of �2,343 had been given towards the cost of the present building. In May 1959 Miss Corrie Ten Boom, whom God had kept through horrendous treatment by the Nazi's, visited Northern Ireland. Miss Ten Boom, from Holland, gave the morning address on Ladies day at the Lisburn Church on Sunday 24th May. On Saturday 12th September 1959 the Rev Lown called a special board meeting before he embarked upon a tour of Canada. He announced to the board his acceptance of a call from the Paisley Church of the Nazarene in Scotland. He told the board that it would be early in the new year. The British Isles North District Preachers Conference, meeting for the first time in Ulster, was held in the Lisburn church on the 25th, 26th and 27th November 1959. Dr H. Gish, Professor of Moral Philosophy at the Nazarene Theological Seminary, Kansas City, USA, gave the morning lectures under the chairmanship of Dr G. Frame. Addresses, followed by discussion periods, included youth work, the need in Eire and Holiness literature. The farewell services for the Rev Albert Lown and family were held at the end of January 1960. The public farewell service was held on the Monday night with the Rev J. Sanders, of the Skegoniel Church in the chair. At the January 1960 board meeting it was decided that the Rev Glyn Thomas, from Wales, would fill in until a new minister was in place. The Rev Thomas and his wife stayed in a caravan on the church site as some work had to be done to make the manse ready for them. A special board meeting was called in March 1960 to discuss the vacant pastorate. After some discussion a vote was taken to nominate the Rev Glyn Thomas. The vote was unanimous. It was then taken to the annual members meeting. The members voted by two thirds majority for the Rev Glyn Thomas and the Rev Thomas accepted the call. The induction service was held on Wednesday 30th March 1960. The Rev J. Sanders presided and the Rev McCleod (Dromore), Rev Smyth and Rev Lucas (Belfast) and the church board officiated. A letter sent to the church board from Mrs Carberry proposed a league of church loyalty for the children at the morning service only. It was agreed to commence it on 3rd April 1960. The age limit was set at 16 years old. The league of church loyalty still runs today and prizes are given every year. Dr George Frame, District Superintendent, was present at the December board meeting to look at the plans for the completed church. The plans showed the main sanctuary with a seating capacity of 250 with a little outshot at the end of the plan for a platform and pulpit. At a members meeting held on 8th February 1961 it was decided once again to continue with the building of the sanctuary. Dr and Mrs Frame were present and said they would pay for one of the �12 windows and hoped to raise this to �20. A number of others promised �20 each. The morning service on the 9th July 1961 was taken by a student from the Nazarene College called John Paton, who was later to become the 3rd pastor of the Lisburn church. He based his message on 1 John chapter l v 1 dealing with Jesus, the perfect man. John Paton stayed with the Rev Thomas during Mr Thomas's illness to help with visitation. Although John had been told about Rev Thomas's blindness it still surprised him when he knocked the manse door for the first time and Mr Thomas answered and said "Nice to see you brother". The surprises didn't stop there! Mr Thomas brought John in and then asked him if he wanted a cup of tea. Rev Thomas made the tea and then proceeded to pour it as well. John Paton was getting a bit edgy by this time and wondered if Mr Thomas really was blind. Every morning John came downstairs for breakfast Glyn was "reading" the newspaper and asked John if he had read about such and such an event that had occurred. What John didn't know was that Glyn had listened to the news on the radio earlier that morning. The Sunday morning service of 26th August 1961 saw a visit from the well known Scottish evangelist and gospel singer Mrs Seth Sykes. The following Sunday saw Rev Glyn Thomas return to the pulpit after a lengthy period of illness. The faithful ministry of the Rev Glyn Thomas continued to be a source of encouragement to the willing band of voluntary workers who gave up their Saturdays, after working all week in their own employment, to carry on with the second phase of the church building. In April 1962 the Rev J. Sanders, B.D. conducted a week long special evangelistic campaign. The Lisburn Herald reported that it was a very successful campaign with quite a number of seeking souls being blessed and edified. In May of the same year a Revival campaign was conducted by Rev Doris McDowell from the United States. On the last Sunday extra seating had to be put out due to the very large numbers. Rev Thomas With Vicky On Their Way to Church. "Vic, an I8 months old Golden Labrador, never misses a sermon by the Rev Glyn Thomas, pastor of the Church of the Nazarene in Lisburn, Co.Antrim. She guides blind Mr Thomas into the pulpit, then settles down beside him- though sometimes she favours a less ostentatious seat in a pew beside Mrs Thomas. Said 54 year old Mr Thomas yesterday at Portadown, Co. Armagh, where he was preaching; "She behaves very well during the services and seems to enjoy them. When she hears me pronounce the benediction, she knows its about to be over and gets up ready to go. My dog takes me to the homes of church members in Lisburn". The work at the church was continuing on at a steady pace. Tommy Smyth recalls sitting on top of the completed rafters with William Carson eating ice cream at 12 o'clock midnight. By the end of the year good progress had been made on the building with the walls completed and the roof tiled. Robert Collins recalls they completed the roof tiling in one day and that night it poured with rain. The church board made a decision to put the offerings into the building fund to clear the debt. 1963 was to be another big year in the life of the church. The major work outside was almost complete and work had begun on the inside of the building. Another story told by Robert Collins was that when they completed the floor in the sanctuary Fred Carberry hired a sanding machine to prepare the floor for polishing. They were sanding the floor well after midnight when somewhere between 2 and 3 o'clock in the morning they had visitors. It was the police wanting to know what was going on. On 1st May 1963 the Annual General Meeting took place with Dr George Frame chairing the meeting. It was announced that the opening of the new church building would be on Thursday 30th May 1963. Dr Frame also announced that Dr Benner, a General Superintendent of the Nazarene Church, was to be in Northern Ireland and he would be pleased to be at the opening. "CHURCH THAT WE BUILT" OPENS AT LISBURN. "Parishioners who worked as bricklayers, plasterers, painters and slaters in their spare time built the new Church of the Nazarene in Warren Gardens, Lisburn, which was officially opened last night. The Rev Glyn Thomas, their blind minister who goes to church accompanied by his faithful Labrador "Vic" said that about a dozen members of this Wesleyan church had devoted their spare time since last September: Mr Bob Collins, one church member, worked right through the night and well into yesterday so that everything would be ready for the ceremony. Mr Thomas estimates that the voluntary work has cut the cost in half and expects the final figure to be about �5, 000. At the ceremony was the former minister, the Rev A J. Lown, who came from Scotland especially, for the occasion. He is responsible for much of the design of the new church, including the original sound proofed nursery room where children can hear the service and see their parents without disturbing the worshippers. Dr G. Frame, District Superintendent of the Northern area of the British Isles, was a guest speaker. Dr Hugh Benner, ofKansas city and the Rev W. R. Bromley, whose work is in New Guinea, also spoke". Some of the names of the people involved in the construction of the church included Fred Crothers who was chairman of the building committee. He not only guided other workers but himself laboured ceaselessly. His two sons Edward and Trevor aided him much. Other names included Thomas Smyth, Fred Carberry and son, Joe Megrath, William Carson and son, John Henry, Thomas Cook, Chris Morrison, W. Hamilton, Reg Davies, G. Keery and Ernie Part who, aided by his workmates, did a lot of the brickwork on the new building. On Sunday 23rd June 1963 the Rev Ian R. K. Paisley was the morning speaker. He based his message on Luke chapter 23 v 33 especially dwelling on the words "The place which is called Calvary". Another campaign was held at the beginning of November 1963. It was conducted by Jimmy Hamilton, the legless Scottish evangelist. Mr Hamilton, who came from Motherwell, told the congregation how God had spared his life after losing both his legs in a train accident in childhood. The church wanted to bring young people in the immediate neighbourhood into surroundings where God was worshipped and where there was something to attract and interest them. A Vacation Bible School was planned for the last two weeks of August 1964. About 150 children were in attendance. Mrs Thomas was in charge, ably assisted by Mr Cook, the Sunday school Superintendent, along with a band of willing workers. On Sunday 20th September 1964 the Rev Duncan Campbell, the well known Revivalist, preached at the morning service. The text he took for his message was Romans chapter 6 verses 5 and 6. In June 1966 Sam Perkins kindly volunteered to take on the upkeep of the church grounds and to this day you can see Sam either cutting the lawns, trimming the roses or doing some other job around the church. At the October 1966 board meeting the Rev Thomas informed those present of the Advisory boards decision to appoint him to the work in Dublin. The farewell services for Rev and Mrs Thomas were held at the end of November 1966. At the public farewell on Monday 27th Joe Kerr presided over the meeting. Also present were Rev McCleod, Rev McCracken, Pastor Harvey and others. A cheque was presented to Mr Thomas for the work in Dublin. It was decided at the board meeting that before the Rev and Mrs Thomas left that a photograph of them with the board be taken. During 1967 William Collins, from the Tansy mission hall, was a regular in the pulpit including the prize giving for the league of church loyalty in June. Donald Wilson also helped out a lot during this period without a pastor. On Sunday 16th February 1969 a young minister by the name of the Rev John Paton preached for the pastorate. John had been to the church in 1961, to assist the Rev Glyn Thomas, while he was a student. The church board met with Dr Frame on Thursday 27th February 1969 and the board unanimously nominated the Rev Paton's name to go forward to the members. They were in favour and on Saturday 3rd May 1969 a packed church welcomed their new minister the Rev John Paton and family. All the Irish Nazarene ministers were present. On Sunday morning Dr Frame preached and dedicated the new electric organ. On Sunday night the Rev Paton preached his first sermon as minister of the Lisburn church taking his message from Matthew chapter 9. On the Monday night a praise service was held. Those taking part included Mrs Mcllwaine, Mrs Crooks, Mrs Brown, Mr McCandless, the Campbell family and Mr Hyde. At the August 1969 board meeting the Rev Paton presented to the board a sketch of a proposed new church notice board with details of sizes and materials. The board considered and accepted the design and wording. After the Rev and Mrs Thomas left in 1966 there was no weeknight activity for the young people. At the July 1970 board meeting Mr Perkins told those present that he had desire to start something for the young ones in the church namely the Trailblazers and the Pathfinders. He said that some parts of the uniform could be purchased from Kansas City while other parts could be made locally. He was given permission by the Rev Paton and the board to pursue this further and in the autumn Mr Perkins and his volunteers got the groups up and running. Alice Kelly, a former member, made all the necessary pieces of the uniform. At the board meeting in February 1971 it was reported that approximately fifty children had joined the Trailblazers and Pathfinders. The groups proved to be a very worthwhile venture which met the physical. mental, social and most importantly the spiritual training of the young people. Later on in the year it was proposed and passed by the board that a special offering for the Spanish Radio Programme "LA HORA NAZARENA" would be lifted at the harvest praise service and that the church would match the offering pound for pound. To this day the church still has this special offering although it is now known as the Worldwide Radio Ministry. This is a very important work as radio can get to places and people who would otherwise never get a chance to hear the life changing gospel of Jesus Christ. In June 1972 the Jess family presented to the church a gift of two new hymn boards. During 1972 another venture was discussed and passed. This was to be a Saturday night meeting called "The Open Door" and was a Christian outreach to the teenagers in the area. In November 1973 the church board was informed by the Rev Paton that he had been called by Bolton First Church of the Nazarene to be their pastor and that he had accepted the call. The Rev Eric Lewis came to preach on Sunday 16th December 1973, after being invited by the church board, with a view to the possibility of being called as pastor. On Thursday 17th January 1974 the farewell service was held for the Rev John Paton and his family. Pastor McCandless spoke on behalf of the Elim church and Fred Campbell on behalf of the local mission halls. His last Sunday preaching in the Lisburn church was 20th January 1974. A special members meeting was held on Monday 4th February 1974 to vote for the Rev Eric Lewis as the new pastor and he was elected. His induction service was held at the beginning of April. In 1975 a new communion table was provided as a gift to the church from William Carson snr in memory of his late daughter, Judith Carson. Joe Kerr was able to get two chairs, which were almost a perfect match for the table. The Rev Maynard James, sometimes known as the "fearless evangelist", was invited back to the church to conduct the "Radiant Life and Bible Prophecy Conference". It ran from Sunday 17th to Sunday 24th September 1978. He answered publicly questions on Bible Prophecy and he also prayed for and anointed the sick according to James chapter 5v 14. 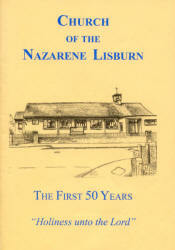 It was the 25th Anniversary of the Lisburn Church in 1979. The silver jubilee weekend was held on the 24th and 25th of November. All the former ministers of the Lisburn Church took part, as well as the current minister at the time, Rev Eric Lewis. Michael Harper from England was the special singer.